I’ve heard it a million times. He is too short. He is a 6th man on a championship team. He isn’t a number one. You can’t win playoff games with him. When the playoffs come teams will play him different and shut him down. He is not worth a max contract. Isaiah Thomas proved you wrong. It’s ok, you are not the only one. But people like me who have been on Team Isaiah from the beginning saw it and knew this player was special. 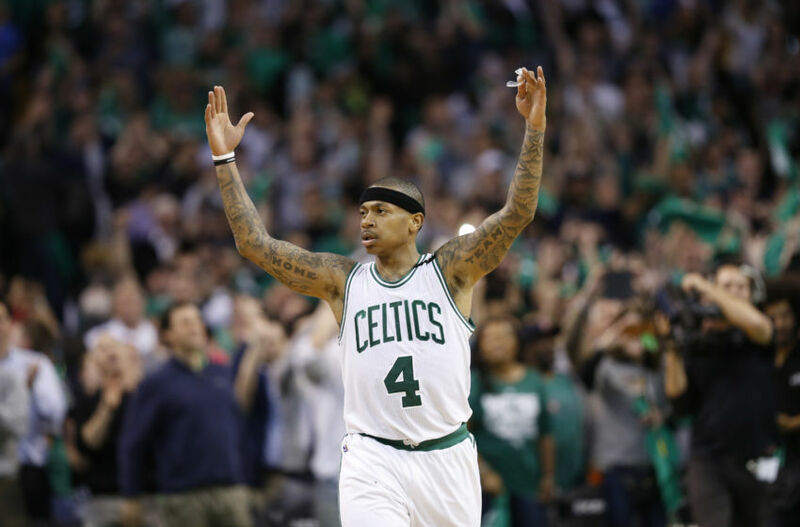 What Isaiah Thomas has done this season, what he has done this playoffs, what he did LAST NIGHT proved to everyone that he is a superstar. He is one of the best Point Guards in the league. There is no doubt in my mind that the Celtics should move forward with Isaiah Thomas as the face of the franchise. You can win in this league with Isaiah Thomas as a part of your big 3. Because lets not kid ourselves, you can’t win in this league without at least 3 All Star caliber players. That is how the Celtics won in 2008. That is how Golden State won 2 years ago and that is how Cleveland won last year. The Celtics are 1 All Star away from really competing for a championship. But Isaiah Thomas needs to be here. Pay the man, back up the Brink Truck. Anyone who thinks this man doesn’t deserve to be a max player is an idiot. Last night was the best basketball game I have seen in a long, long time. What Isaiah Thomas did yesterday was incredible. I have seen it all year and I still can’t believe it. Over and over and over again, he makes you just drop your jaw. He can not be stopped. It doesn’t matter what kind of defense you throw at him, he is going to beat it. Watching him this season has been amazing and I hope all the Celtics fans appreciate what they are watching because this is truly special.